Here you will find links to other resources that may be of interest to members of NACAR. This article by Amy Hereford, CSJ, Attorney Canonist, provides a summary of the development of associates and touches on some of the canonical issues. Please note that this is a PDF document. The survey of Catholic Women was conducted by the Center for Applied Research in the Apostolate (CARA) with The GfK Group (GfK, formerly Knowledge Networks) for America Magazine. GfK has recruited the first online research panel that is representative of the entire United States population. Panel members are randomly recruited through probability-based sampling, and households are provided with access to the Internet and hardware if needed. For this study, GfK sampled households from its KnowledgePanel to conduct a survey between August 3, 2017 and August 24, 2017. A total of 1,508 women self-identifying as Catholic in the United States completed the survey (in English or Spanish). The margin of sampling error for the overall sample is ±2.5 percentage points. Using survey and Census data, CARA estimates that there are 37.3 million Catholic females in the United States at the time of the survey. Of this population, 28.8 million are adults. Interest in this survey emerged out of one of NACAR's Creative Conversations. Aside from the CARA study, itself, you can find more about the survey and Catholic Women in the January 22, 2018 of America Magazine and an online video at America Magazine Facebook page. The Catholic Research Resources Alliance (CRRA) is a collaborative effort initiated by eight Catholic colleges and universities to share their resources electronically with librarians, archivists, researchers, scholars, and the general public, all who are interested in the Catholic experience. The mission of the CRRA is to provide enduring global access to Catholic research resources. The Collaborative Leadership Development Program (CLDP) is a program sponsored by the Leadership Collaborative. It is an 18-month integrative process with an intercultural perspective, designed to prepare participants with the skills, knowledge and confidence to assume leadership positions in community and ministry. The CLDP blends contemplative practices and building relationships with self-growth and spiritual development, through prayerful study and interaction, online forums, mentoring, and coaching. You may download a flier here. CMSM serves the leadership of the Catholic orders and congregations of the more than 20,000 vowed religious priests and brothers of the United States, ten percent of whom are foreign missionaries. CMSM provides a voice for these communities in U.S. church and society. CMSM also collaborates with the U.S. bishops and other key groups and organizations that serve church and society. Kathy Schiro, Director of Mercy Associates, Sisters of Mercy of the Americas, Mid-Atlantic Community, has a conversation with Sr. Camille D'Arienzo at National Catholic Reporter online. Franciscan Action Network, of FAN, is a grassroots organization amplifying the justice efforts of Franciscans and Franciscan-hearted people around the country. Join the growing movement that endures from St. Francis of Assisi and his call for compassion for the poor and for creation over 800 years ago. Global Sisters Report is an independent, non-profit source of news and information about Catholic sisters and the critical issues facing the people they serve. Our network of journalists report about their lives and works, and sisters write commentary from their perspective. Global Sisters Report is a project of the National Catholic Reporter Publishing Company. However Long the Night: Making Meaning in a Time of Crisis, chronicles what the LCWR learned as it went through a six-year doctrinal investigation by the Vatican’s Congregation for the Doctrine of the Faith (CDF). CDF publicly questioned the fundamentals of LCWR and called for a reform of the organization, an action that stirred great concern among members of the Catholic Church, and many others throughout the world who saw the Vatican’s action as repressive and unjust. In the book, the Catholic sisters who were leaders of LCWR during those years share what helped them navigate that crisis in ways that might be useful for anyone attempting to work through confrontation in today’s fractured world. The authors not only explain how they led a large and complex organization through this difficult period, but with great transparency share how their own spiritual grounding helped them make this journey. Through the sharing of their own stories, these leaders describe methods, processes, and practices that are readily translatable for use by other individuals, communities, and organizations as they weather a crisis. Readers will see how these women handled the decisions that confront any of us when faced with conflict. How to build relationships that cross divides? How to embody humility, while staying true to one’s mission, and operating with integrity? How to manage anger and respond with strategies that create peace? How to find truth in complex situations? How to handle media attention if the conflict becomes public? The Leadership Conference of Women Religious (LCWR) is an association of the leaders of congregations of Catholic women religious in the United States. The conference has more than 1500 members, who represent more than 90 percent of the 59,000 women religious in the United States. Founded in 1956, the conference assists its members to collaboratively carry out their service of leadership to further the mission of the Gospel in today's world. Master of Arts in Religious Studies with a concentration in Spirituality and Wellness: Mount St. Joseph University’s graduate program in religious studies is designed to impart a deeper understanding of spiritual caregiving and its relationship to one’s own religious heritage and spirituality, as well as the religious and cultural heritage of those served. The Summer Spirituality Institute, sponsored by the Mount’s Department of Religious and Pastoral Studies, continues to thrive in response to a growing interest in Christian spirituality within contemporary culture. Courses and work shops have been designed to attract: •Those in professions that may draw upon principles of pastoral and spiritual care (such as religious leaders, chaplains, counselors, nurses, and teachers)•Those who seek a deeper understanding of Christian spirituality for growth and development. 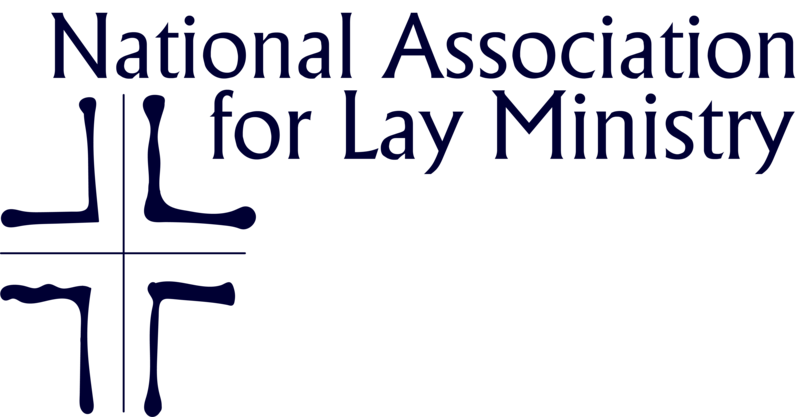 The National Association for Lay Ministry is a professional organization that supports, educates and advocates for lay ministers and promotes the development of lay ministry in the Catholic Church. The National Religious Vocation Conference began in 1988 as a combination of the National Conference of Religious Vocation Directors (NCRVD) and the National Sisters Vocation Conference (NSVC). Today the NRVC has an annual membership of over 1,300 women and men, most of whom are vocation ministers for religious congregations. The organization is divided into 14 regions plus international members. The National Board consists of eight to twelve representatives and the NRVC Executive Director. The Religious Brothers Conference (RBC) is a service organization in the Catholic Church. The Mission of the RBC is to promote an awareness of and the calling of Brothers in the Church and society. We encourage all Brothers to live the Gospel message in a prophetic way, respecting the charism and tradition of their particular institute. The RFC National Office is privileged to serve Roman Catholic institutes of women and men religious with programs and services for those in the ministry of initial and life-long formation. Membership in RFC is by congregation or institute and based on the calendar year. All members or associates of that congregation or institute qualify for RFC program fees and for access to the members-only site area.